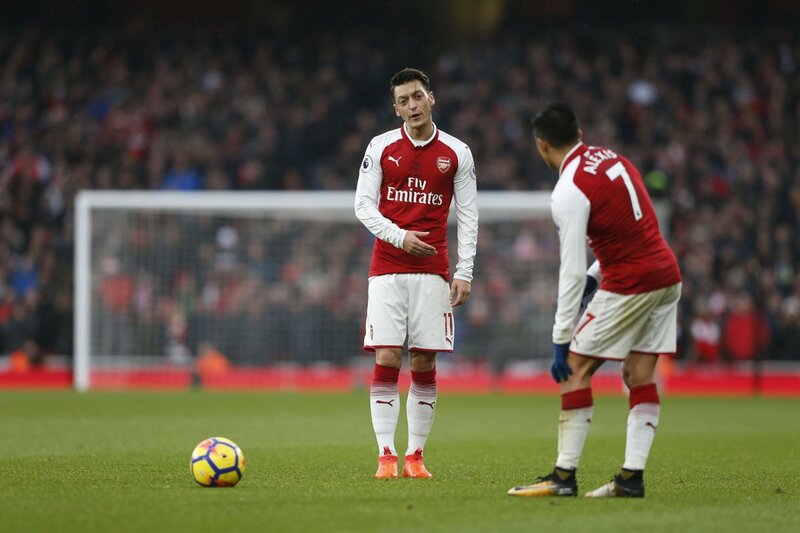 Arsenal boss Arsene Wenger has praised the showing of Mesut Ozil and Alexis Sanchez during Saturday’s 2-0 Premier League win over Tottenham Hotspur in the north London derby. The Gunners dominated the proceedings from the off, and their urgency in the forward department caught Spurs off guard as they conceded two first-half goals. Mauricio Pochettino’s side tried to make their comeback during the second period of the game, but they could not make the most of their possession owing to some poor finishing at the end. Following the game, Wenger heaped praise on both Ozil and Sanchez, who alongside Alexandre Lacazette stood out in the Gunners attack.